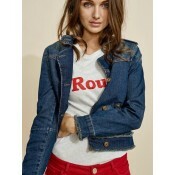 Mos Mosh Fray Denim Jacket A 'wear with everything' style for your wardrobe. 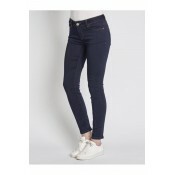 Designed using a..
Mos Mosh Jamie Big Troks Black These cool black denim jeans can be used high or low waisted and are..
Mos Mosh Berlin Zip Push Up These jeans are crafted with plenty of stretch, but will retain its sha..
Mos Mosh Ozzy Pure Biker These blue denim jeans are cut with a slim fit and flattering mid rise. Cr..
Mos Mosh Etta Shine Zip 7/8 These blue denim jeans can be used high or low waisted and are cut with..
Mos Mosh Victoria 7/8 Silk Touch Victoria 7/8 Silk Touch is crafted with plenty of stretch, but wil..
Mos Mosh Naomi Gold Pant Naomi Gold Pant are cut in a relaxed tapered fit to be used slightly baggy..
Karen by Simonsen Tatch sweatpants Fabulous sweat pants with printed stripe down the side. The swea..
Karen by Simonsen Tapestry Blouse Lovely, feminine blouse in a beautiful print. 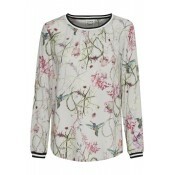 The blouse is regul..
Karen by Simonsen Stamp Blouse Beautiful blouse in lovely spring print. 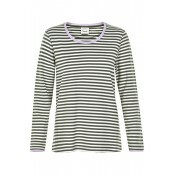 The blouse is regular fit, ..
Karen by Simonsen Tape Tee Gorgeous basic T-shirt with stripes and elasticated edging. Th..
SET Leather ShirtClassic meets fashion! 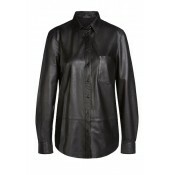 Classic shirt made of 100% leather Patch pocket on t..
Marella Jhonny Top Loose-fit georgette blouse. 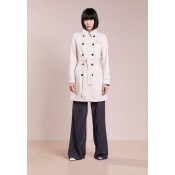 V-neck with long transparent sleeves gathered at the..
Marella Maine Mac Opt for a timeless look to finish off any outfit with this Maine trench coat from..